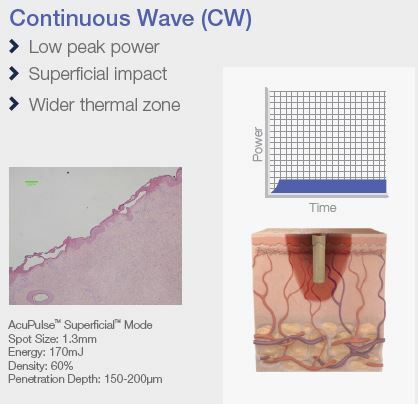 AcuPulse™ features a unique SuperPulse™ mode for extraordinarily safe deep impact, as well as a full range of advanced continuous wave capabilities for precision work. When ablation depth is equal, more energy means more excess heat in the tissue. 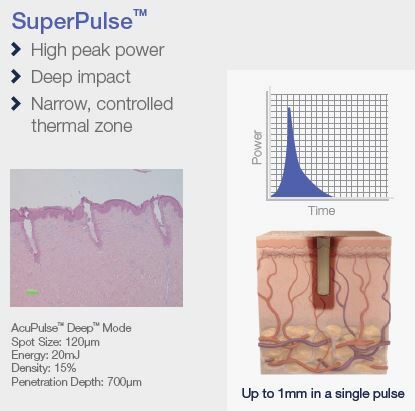 SuperPulse™ technology enables the deepest penetration with the lowest energy. This reduces patient discomfort, downtime and thermal damages. 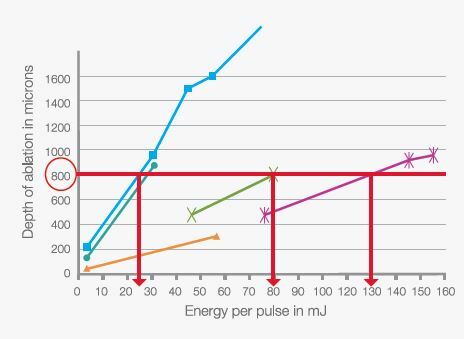 AcuPulse™ also enables shorter pulses, further enhancing patient safety.